That’s not to say she’s outright unlikable. Far from it. Seeing this movie queen of the 1930s immersing herself in the celluloid past to try and ignore the passage of time (and the lack of star parts now coming her way) naturally arouses anyone’s sympathy. It’s easy to see why someone who once enjoyed celebrity status would regard aging with a certain dread. Some professions are easy to grow old in, but acting? Hollywood is a notoriously fickle mistress, and no one seems to suffer from its relentless drive for “youth” more than women, sadly. So who can blame Barbara Jean for shutting herself up in the screening room of her posh home and unspooling only the romantic parts of her peak years? 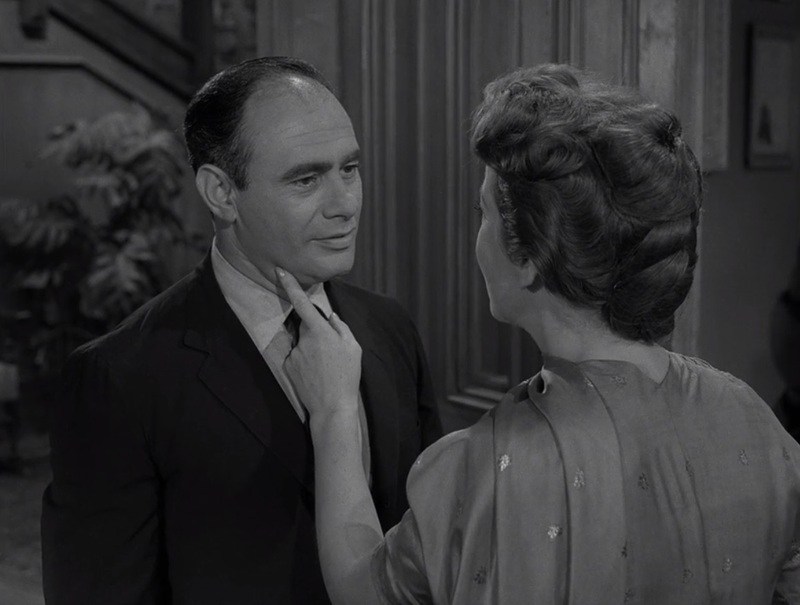 Ignoring her devoted agent Danny (played by the great Martin Balsam, who would go on to star in TZ’s “The New Exhibit”) when he urges her to snap out of her funk and stop pretending it’s 1934? Or leaving untouched the tea and snacks prepared by her concerned maid, Sally? When Danny invites Jerry, one of her former leading men, over for a visit, and Barbara Jean is shocked at his aged appearance, we get it. (She didn’t have to be rude to him, though). And when movie-studio head Marty Sall labels her a “prima donna” and “an aging broad with a scrapbook”? Ouch. But still — Sall didn’t say that just for fun. He had offered her a part in a new movie, only to have her reject it as “a sheer waste of my time”. Worse, she called him a “crude, tasteless man” whose only crime, apparently, was not handing her the starring role. There you are, Jerry. There you are. You look so young. So wonderfully young. Who’s the strange old man here a while ago who said he was you? Jerry, I wish I could be there with you. I wish I could be up there with you. I wish. Oh, how I wish. And, this being the Twilight Zone, it works! As Sally and Danny soon find out, Barbara Jean is no longer with the rest of us in the material world. By some miracle, she’s been transported up onto the silver screen — young and beautiful, happy once again with her old friends, safe in a cinematic heaven where it’s always the 1930s. Picture of a woman looking at a picture. Movie great of another time, once-brilliant star in a firmament no longer a part of the sky, eclipsed by the movement of earth and time. Barbara Jean Trenton, whose world is a projection room, whose dreams are made out of celluloid. Barbara Jean Trenton, struck down by hit-and-run years and lying on the unhappy pavement, trying desperately to get the license number of fleeting fame. To the wishes that come true, to the strange, mystic strength of the human animal, who can take a wishful dream and give it a dimension of its own. To Barbara Jean Trenton, movie queen of another era, who has changed the blank tomb of an empty projection screen into a private world. It can happen — in the Twilight Zone. You don’t have to be Henry Bemis to know that’s poetry. 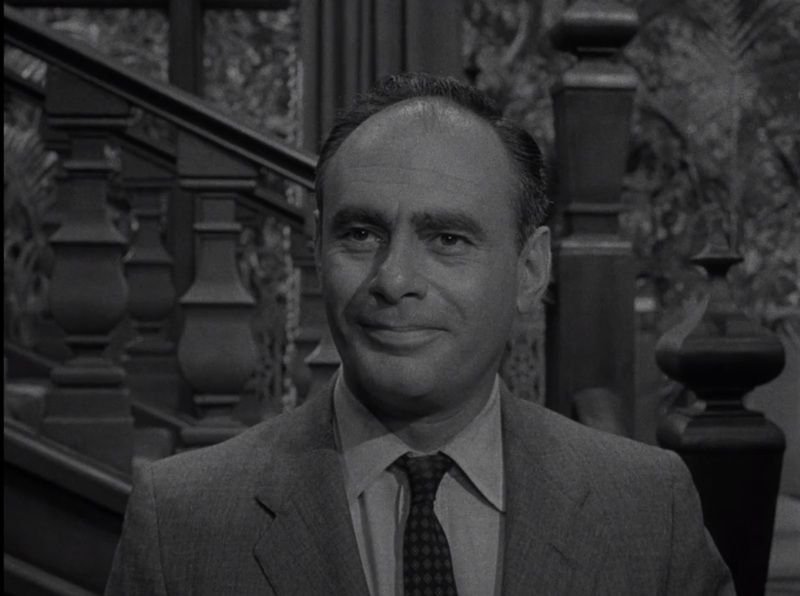 So here’s to writing, Serling fans — writing that rings true. 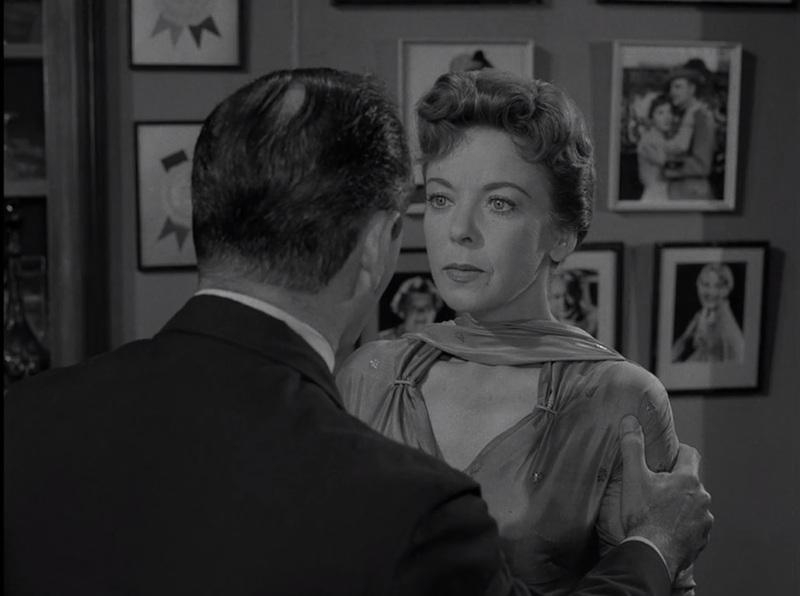 Posted on 08/10/2018, in Twilight Zone and tagged Ida Lupino, Martin Balsam, Rod Serling, The Sixteen-Millimeter Shrine, Twilight Zone. Bookmark the permalink. 14 Comments. Shades of “kick the can” et al. In the overall longing for yesteryear, yes, though I feel that otherwise there are some significant differences. Pursuant to my premise here, Charlie is much more sympathetic, for one. Sounds like she’s just being Hollywood, i.e., all too human. She’s definitely no villainess. I certainly feel sorry for her, but she doesn’t make it easy to sympathize. 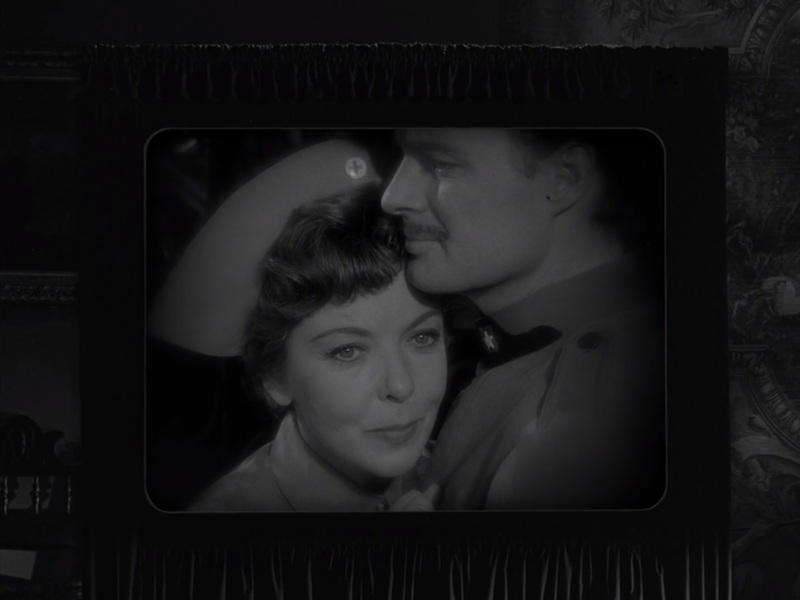 One of the few Zone episodes with a happy ending. It would be interesting to tally up the number of happy endings, come to think of it. Any series so reliant on twist endings will obviously not have very many! Though there will be some tough calls — like “Deaths-Head Revisited”. Clearly it’s very satisfying that the old Nazi has been punished, so it’s happy in THAT sense, but is it happy like, say, “The Trade-Ins” or “A Passage for Trumpet”? Obviously not. I haven’t done a tally, but I’d say probably about 15-25% had happy endings. There were several comedies, for example (“Mr. Bevis”, “Cavender is Coming”, “Hocus-Pocus and Frisby”). “The Fear” was a sci-fi one with a happy ending. It is hard to find sympathy for Barbara Jean, even though she is probably the product of the system that ultimately discarded her. In a world where only the stars seem to matter, I guess she couldn’t handle stepping down. You’re right though, if she had just been nicer, perhaps a sad character instead of a mean one, she could have garnered some sympathy. Still, I do enjoy watching this episode. Exactly how I feel, Dan. I do enjoy this episode. This post came out of me pondering why a quality episode like it isn’t a bigger fan favorite. 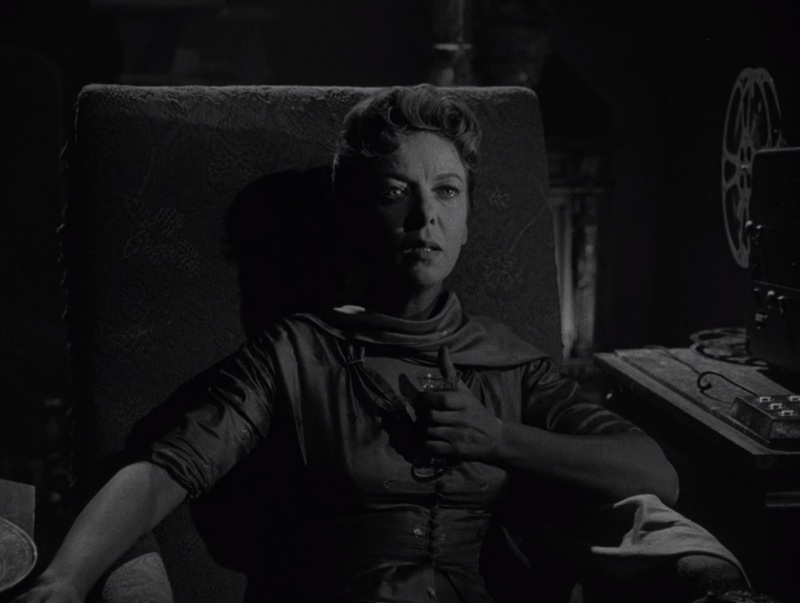 I agree that she has ample reason to be bitter, but still — so does Henry Corwin and Professor Fowler and other TZ protagonists. 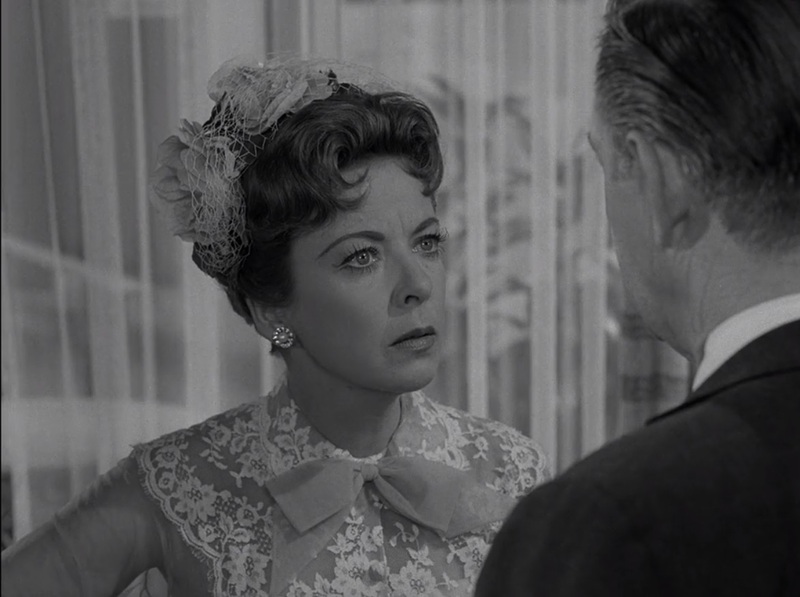 This always reminded me of “Sunset Boulevard.” I’ve seen this theme of the aging actress/actor pining for their glory pop up in a few shows, like a great episode of Columbo with Janet Leigh, and a team-up episode of The Hardy Boys/Nancy Drew with Joseph Cotton. That Columbo was very good, yes. I don’t recall that HB/HD episode, but I know what you mean. This episode does play as a sort of homage to SB. 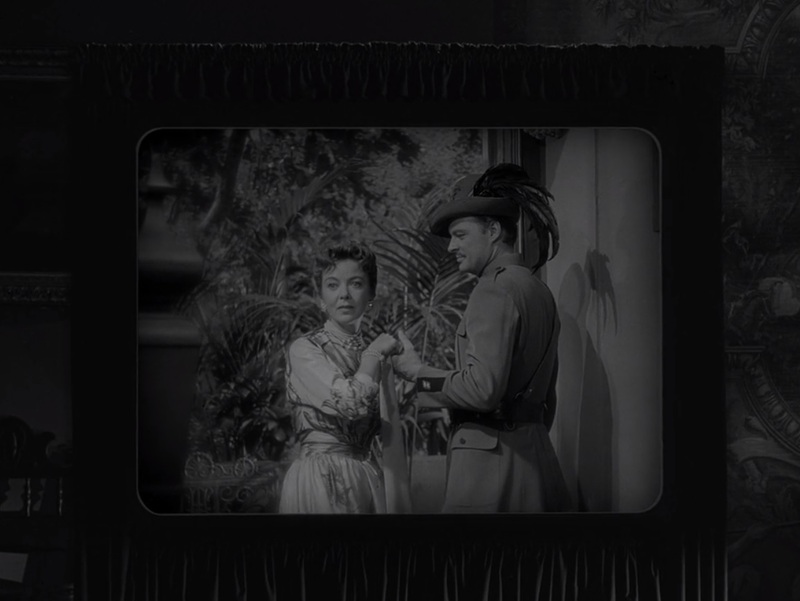 I’m sure Serling knew people would see it that way, in fact. I could be wrong but wasn’t Jayne Mansfield’s career very similar with similar problems. Bitterness and hatred towards the industry which in turn effected her marriage and relationship with her agent and producers? We all know what happened to her. Not that she deserved it but if we are drawing a parallel maybe it’s not Barbara Jean’s character that should be different but rather the ending. She becomes a statue or a photograph. Fabulous article!! Thanks, Nick! Not sure about Mansfield (I don’t know much about her), but you may be right.